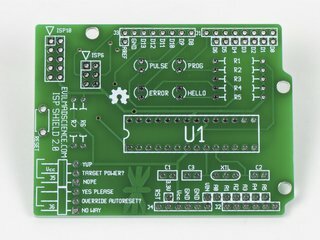 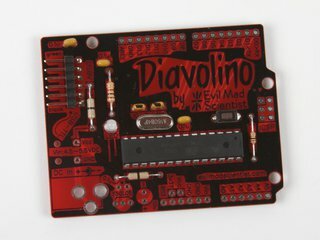 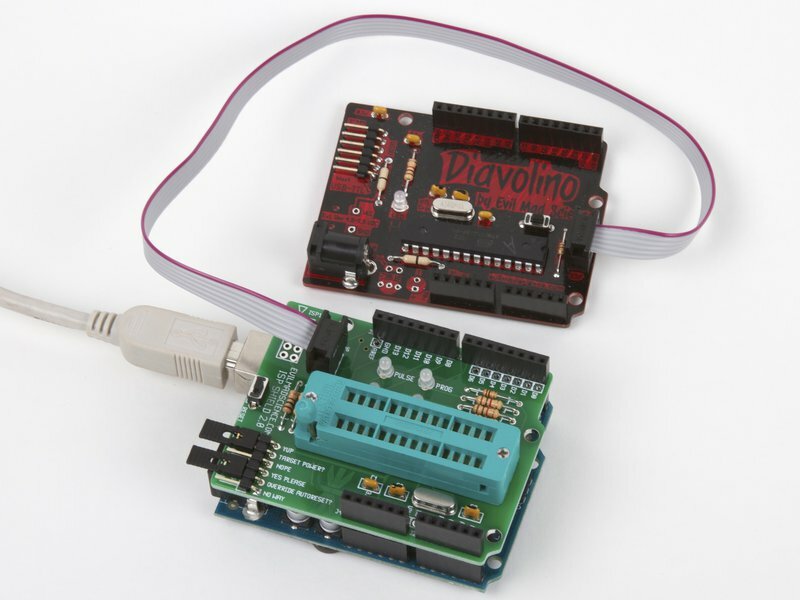 The Evil Mad Science ISP Shield 2.0 is an Arduino add-on that lets you use your Arduino (or shield-compatible clone, such as the Diavolino) as an AVR ISP (in-system programmer). 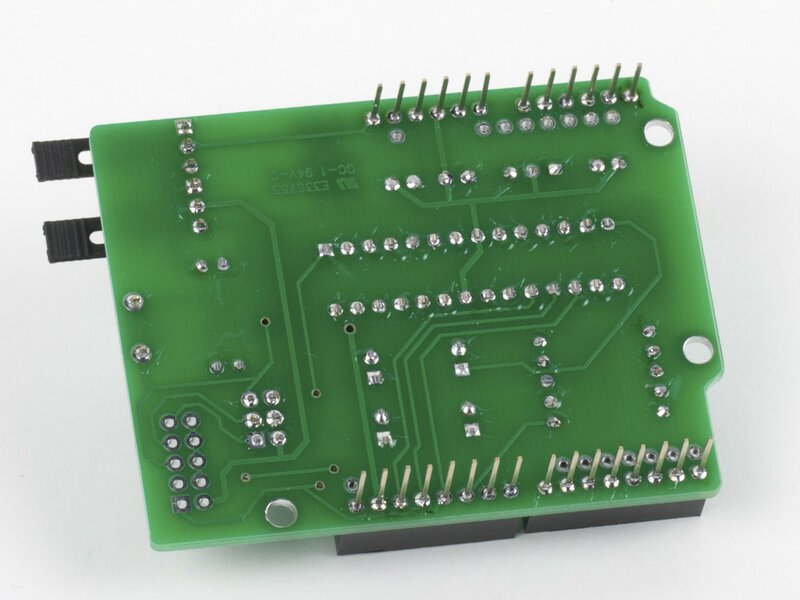 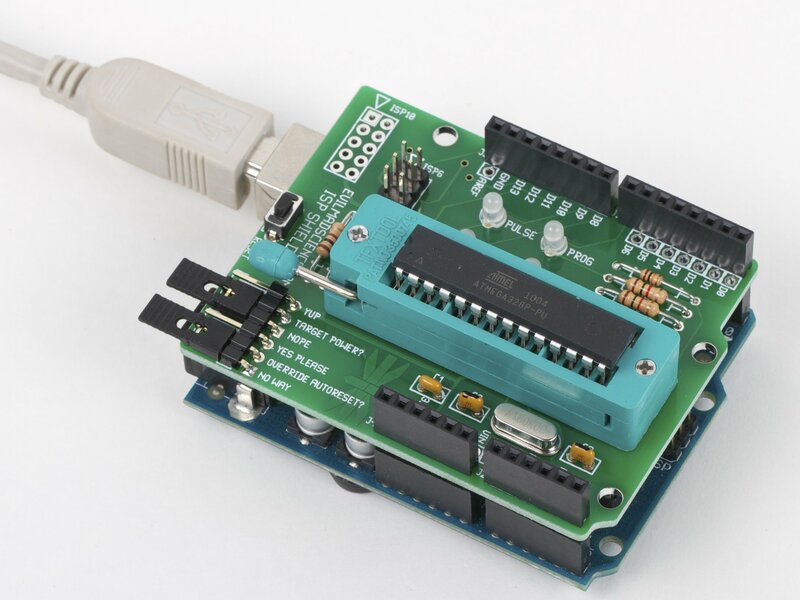 This can be used to burn bootloaders onto "raw" AVR chips, directly within the Arduino programming environment, either in the provided ZIF socket or on an external target board. 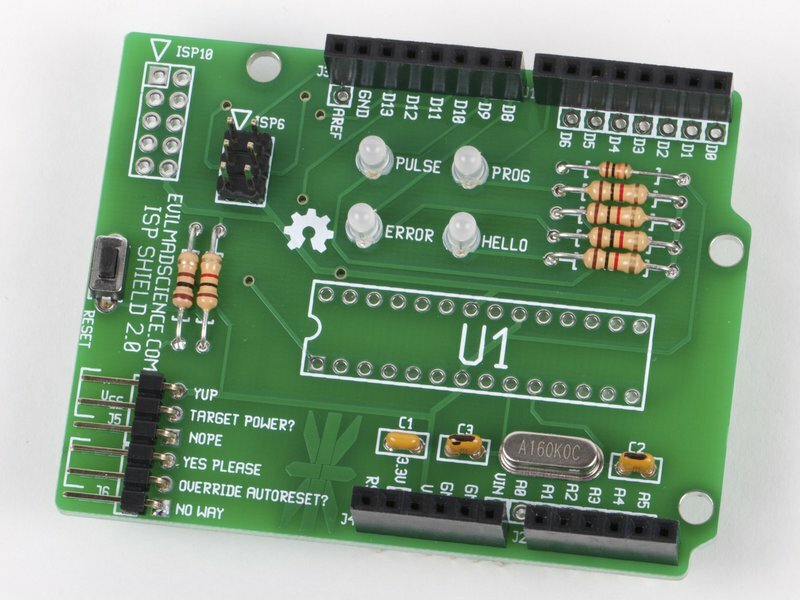 You can read more about this process here. 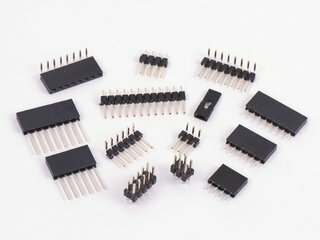 Of course, it isn't just limited to bootloaders. 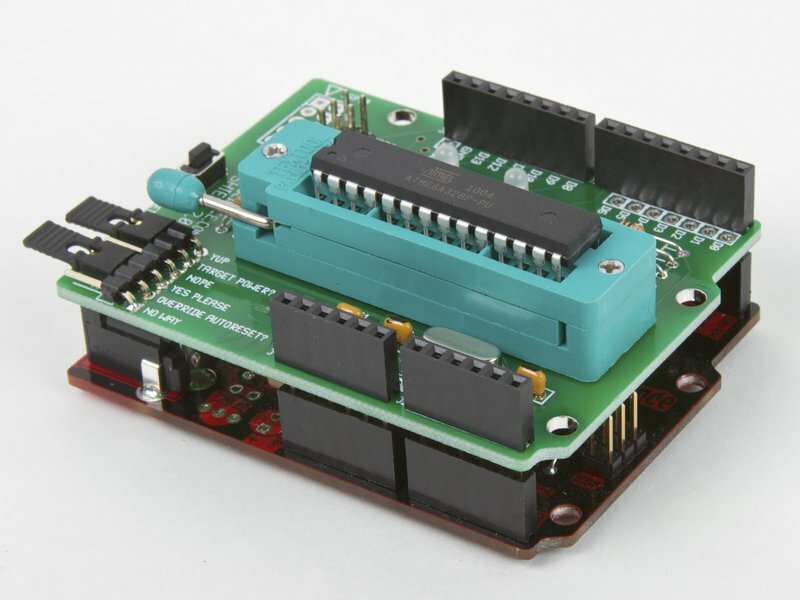 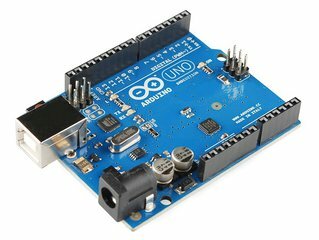 The Arduino+ISP Shield combination is a full-fledged AVR ISP, capable of programming any AVR microcontroller that has an ISP programming interface. 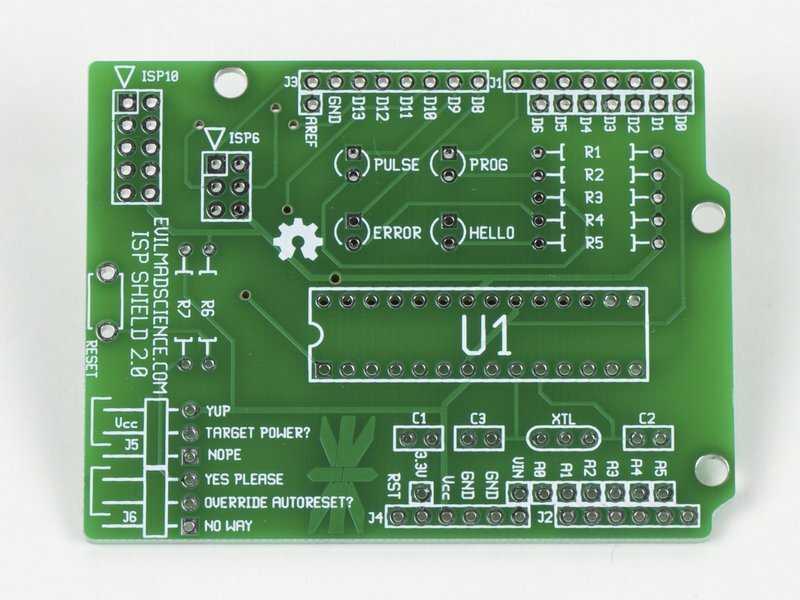 The ISP shield is sold as a soldering kit. It includes the circuit board, stacking header set, 28-pin DIP ZIF socket and 16 MHz crystal (for on-board programming of ATmega168/328 chips), a 6-pin header for programming external targets, plus some small but important parts like LEDs, resistors, and a reset button. 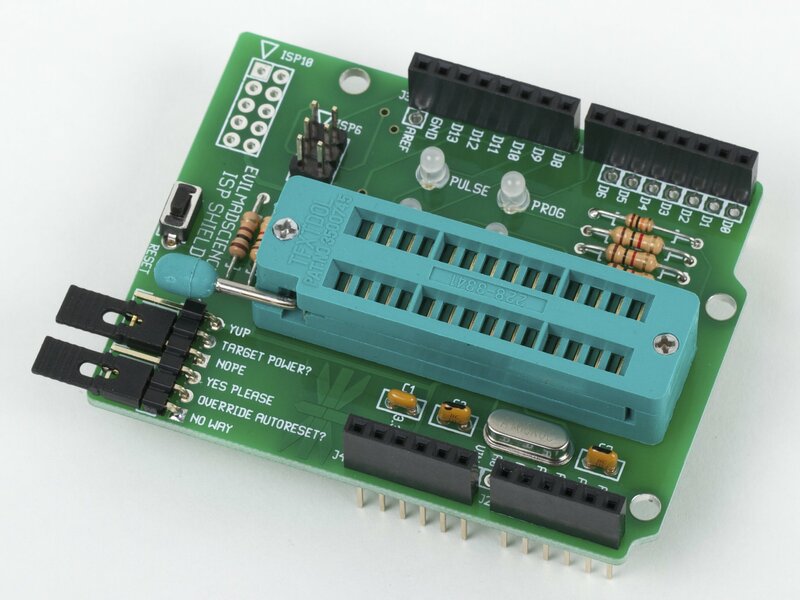 There are also configuration header jumpers for providing (or not providing) power to the external target and selecting (or not selecting) auto-reset override. 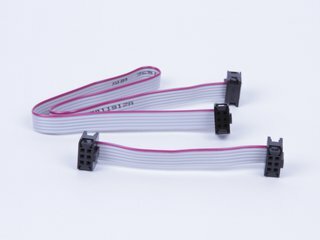 If you plan to program external targets, you may want to consider adding a 6-pin DIL ribbon cable, and/or a 10-pin DIL ribbon cable and 10-pin DIL headers (sold separately) to your order.